Fred Popovich, affectionately called Dee by his grandchildren and great grandchildren, was born in Barnesboro, PA on March 2, 1925 into a large family consisting of 15 brothers and sisters. He was raised in Elizabeth, NJ and graduated from Thomas Edison Technical High School. He enlisted in the US Navy in 1942 and served at the Pacific Theater during WWII. Following his service, he married the love of his life, Genevieve. 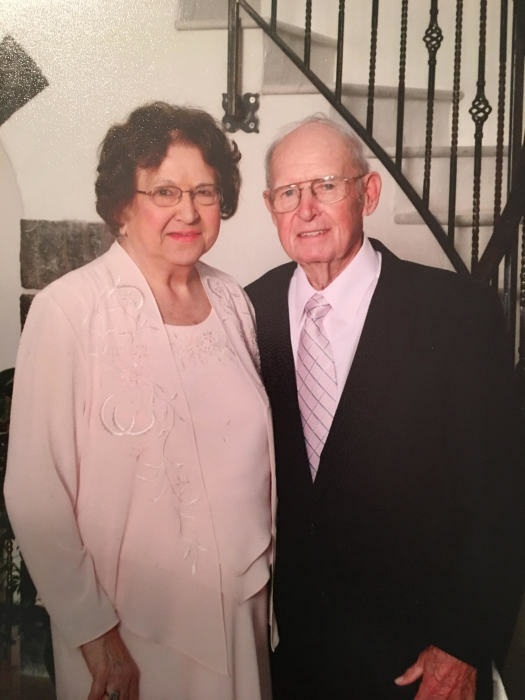 Fred and Jenny lived in Cranford for 60 years and raised their family together. He worked at Glenn Electric and retired from Abach Sheet Metal in Linden. He was a communicant of St. John the Apostle Church and also was a member of the American Legion in Clark. Fred loved the ocean, enjoyed crabbing and fishing from the shore or his boat, which his grandkids named "Whatever it Takes." Wearing his Haskell hat and smoking a cigar, he would spend relaxing days at one of his favorite places, Monmouth Racetrack. He was the beloved husband of 66 years to Genevieve, who passed away in 2013, devoted Dad of 2 daughters, Sandra and Kathleen, who passed away in 1994. Cherished Granddad of Michael, Rebecca, Kimberly and John. Great Granddad to Dylan, Cameron, Mason, Michael Jr, Kayla, Shanna, and Nikolina. Honored Godfather to Pat Kalinowski and Ted Hack, and devoted Uncle to all his nieces and nephews. Visiting Hours will be on Tuesday, January 22 from 5pm to 7pm at Higgins and Bonner Funeral home, 582 Springfield Avenue, Westfield NJ. Relatives and friends are kindly invited to attend the funeral at Higgins and Bonner Funeral home, 582 Springfield Avenue, Westfield NJ, on Wednesday, January 23 at 9am. After which, we will proceed to a Funeral Mass at 10am at St.John the Apostle Church, 1805 Penbrook Terrace in Linden. Internment will follow at St. Gertrude Cemetery, 53 Inman Avenue Colonia NJ. Repass will follow at Triestina Ristoriante, at 515 Centennial Avenue, Cranford NJ.